Love at first sight is possible. Here's proof. 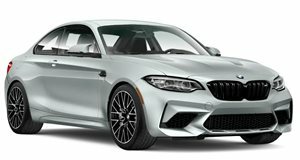 We’ve been hearing rumors off and on regarding BMW’s supposed development of a track-focused, yet street legal version of its M2. Potentially to be called the M2 CSL, this would, in effect, be the ultimate BMW performance coupe in many brand purists’ eyes. We’d also love to see such a model happen, and our enthusiasm for it has become even greater after discovering these awesome renderings by French graphic artist Monholo Oumar, via Carscoops. Beginning with the already potent stock M2, Oumar essentially goes all out with the CSL treatment, and the results are ridiculously awesome. Oh we want. Oh yes, we do. These renderings show a hypothetical M2 CSL with significantly wider front fenders and tons of aggressive aero, such as that massive rear wing. Then, of course, it’s painted in BMW’s iconic racing color scheme. The interior, at least according to the artist here, is really nothing more than stripped-out version of the M2’s, which would make total sense considering weight loss is key. However, a roll cage, fixed bucket racing seats, and even five-point harnesses for both driver and passenger have been fitted. Although such a rendering image wasn’t made, we’d also assume BMW would ditch the rear seat. For us, this is literally the perfect BMW. It symbolizes a return to the German automaker’s racing roots as well as its focus on driving enjoyment. Is it extreme? Without question, and if the M2 CSL were to really come to life, we’d bet it’d be a bit more toned down than this. But if someone at BMW is reading this, please take note. The BMW M2 better get ready for some competition from Quattro.